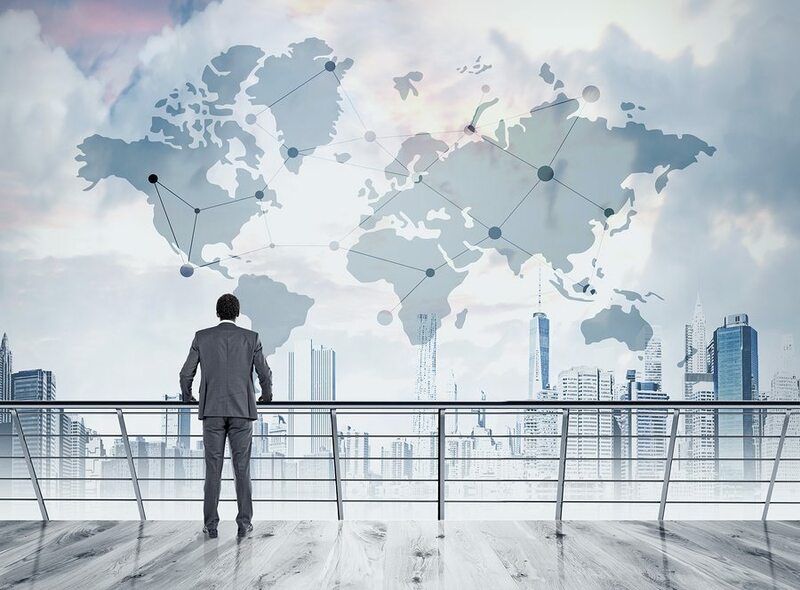 The US Treasury Department releases a report known as the Treasury International Capital (TIC) which breaks down the holding of securities – both foreigners holding US securities and US investors holding overseas securities. The August 2017 edition of the report, which contained data as of June 2017, showed the following holding break-up between emerging markets and others. A few caveats about the chart: Its comprised of only those emerging markets which were among the 34 nations individually outlined in the report. Thus, the remaining which were not outlined specifically, would be under the ‘others’ classification. 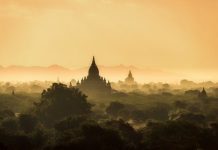 Also, we’ve restricted ourselves to the emerging markets universe as defined by MSCI and are not considering nations classified as ‘developing’ by the United Nations. This, thus leaves out countries such as Cayman Islands and Bermuda from our consideration as emerging markets. What chunk of the overall pie? 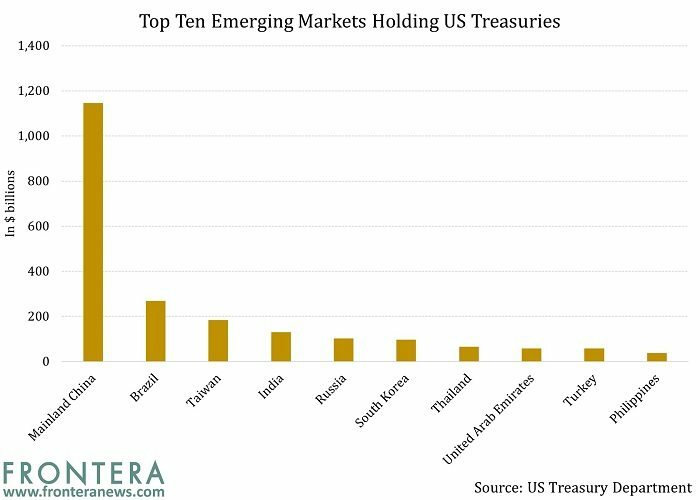 The graph below details the percentage holding of the 12 emerging market countries whose holdings of US Treasuries were specified in the TIC report. Of all the outstanding US Treasuries held by foreign countries, China owns a little less than one-fifth and is ahead of the pack by a proverbial mile. Brazil, the second largest investor in US Treasuries among emerging market nations, is a distant second, holding less than a twentieth of the total outstanding amount of $6.2 trillion. The following graph illustrates this in absolute terms. China, holding US Treasuries worth $1.1 trillion, towers above its emerging market peers. 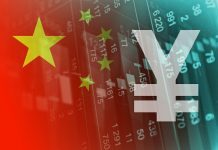 In fact, even if we were to consolidate the holdings of the 11 other individually identified emerging markets in the TIC report, it would not add up to China’s holding. 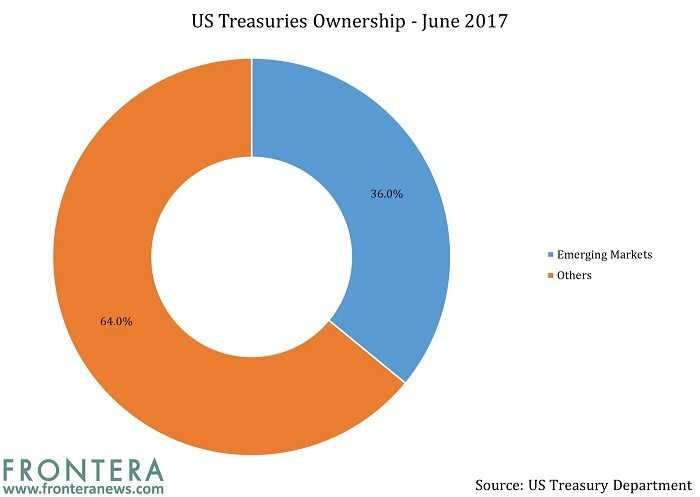 When looking at the entire universe of emerging markets holding US Treasuries, which amounts to $2.2 trillion, China’s share would be 51.7%. 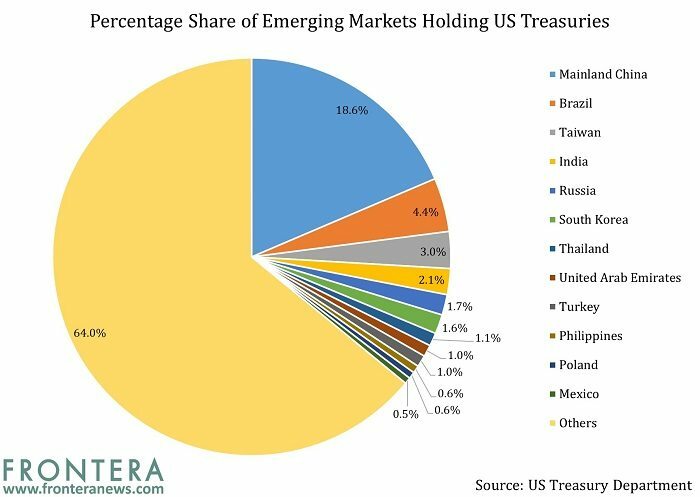 The top five emerging markets – China, Brazil, Taiwan, India, and Russia, would account for 82.6% of all US Treasuries holdings in the emerging markets universe. All these countries hold over $100 billion in US Treasuries each. If we add the sixth largest holder among emerging markets – South Korea – to the mix, the percentage would go up to 87%. There were also some interesting trends that came out of the report. We’ll look at these in the next article.